In the age of social media, where our lives are curated to show only our best and most beautiful selves, it is easy to believe we are the only ones who are broken. But we are not alone. We are all broken and in need of God's blessing. No one has it all together; no person is perfect. 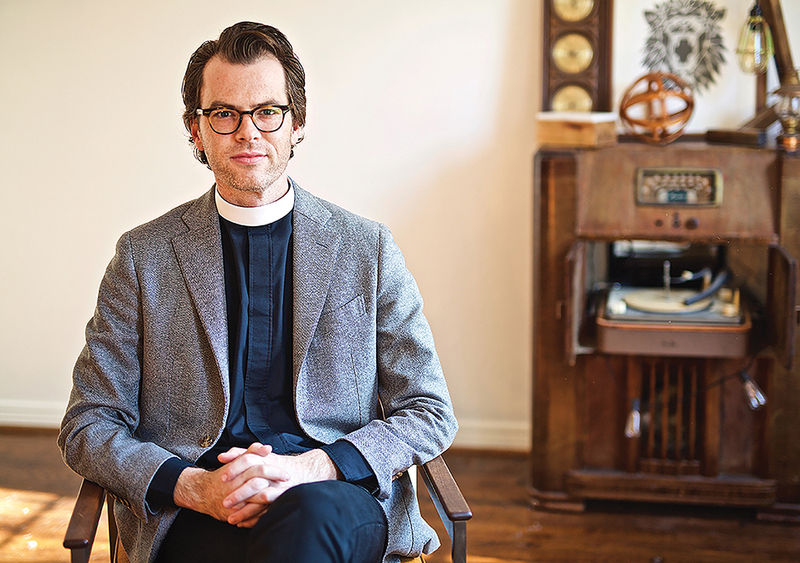 Ryan Casey Waller is a preacher and teacher, a father, and a (recovering) lawyer. Waller is passionate about expressing the Christian faith in accessible ways, both recalling the richness of tradition and history and celebrating authenticity and connection in a post-modern age. He lives in Dallas with his wife and their two children. Father Ryan Waller’s writing touched my heart from the beginning. I cocked my head to listen as I read this astonishingly honest book about being broken. At no time did I feel preached to; rather I felt I was getting an intimate look into the life of a man relating honestly to the rest of us. I laughed out loud at his self-deprecating revelations that were embarrassing and relatable. I wept at the stories told with his achingly heartfelt tenderness. All through the book I thought of all the ways “Broken” spoke to me - from the body broken, to the Bread - broken for me. It especially touched a very deep place within me where lie the broken relationships in my own life. This book will speak to the seekers and those hurt or alienated by the church. Fr. Ryan is a gentle man whose faith is real and his words are full of healing. This book is a gift of grace and mercy. In his book, Broken, Waller has engaged me like no other Christian book ever has. His work reads like a conversation with a trusted mentor: there is vulnerability, questions asked, hard truth, and sage advice. We all go through seasons of darkness and Waller, with great empathy, reminds us that to be Christian is to admit and even embrace our brokenness and turn to a Lord that loves us anyways. I read this slowly and I suggest you do too. Each chapter is a different message and though it’s easy to read, it is far from easy to process… this is the type of book that affirms and challenges your faith in the best way possible. It is the type of book that you read through, highlight, dog ear, re-read, lend to friends (….or maybe just buy them a copy because you’re going to want this on your bookshelf always). But seriously, this book probably has what you need to hear right now, I know it was what I needed to hear... I am broken and I’m willing to bet that you are too. Waller – I hope you never stop teaching, preaching, and writing. The author has woven a colorful tapestry of Scripture, reflection, perspective, personal experience, humor, encouragement and comfort in facing life's challenges and the human condition. Bible stories and parables I've heard my entire life took on new meaning and relevance. Reading this book felt like snuggling under a warm comforter of love. Ryan Casey Waller is a gifted writer and his enthusiasm for the Bible is palpable. "And when your moment comes to trust God and believe in the impossible, say yes. Terrible things will happen, and so will miracles." "God has never been in the business of easy. God is too wrapped up in the business of our lives for that." Broken has been such a refreshing read for me. For one, it is honest, which is always good coming from a priest. He's honest about our personal brokenness, and our collective brokenness. As a parishioner, you want to feel that your priest understands and gets it that life is just sometimes hard. Father Ryan gets it. He also offers so much hope. Real hope to real problems. He doesn't shy away from the hard topics: homelessness, poverty, racism, family strife, mass shootings (at the time it was the Orlando nightclub). He goes to all the hard, dark places and shines light. Despite the topic, I found myself laughing out loud many times. Father Ryan is a really entertaining writer and story teller. I even caught my sixth grade son reading it (who gave it a thumb's up as well). I highly recommend this book!